Suzi Eszterhas is an award-winning wildlife photographer based in California. 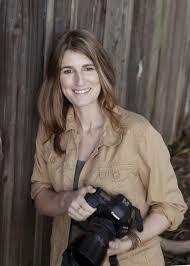 Best known for her work documenting family life on the African savanna, she has undertaken commissions and led instructional photography tours and workshops everywhere from Antarctica to the Arctic and Alaska to Montana. Her photographs have been published in books, magazines and newspapers all over the world. Her articles have appeared in publications such as TIME, National Geographic, Ranger Rick, BBC Wildlife, and National Geo Kids. Suzi will present a slideshow of her work and talk about the stories behind her photographs, and do a Q&A.